Why choose Honest Answering over another Answering Service? We are better! We’d be happy to give you a two-week free trial so you can see why. If you’re using another service now, you can even keep your account with them open. Just forward to the new number we give you for two weeks. If you don’t think we’re better at the end of the free trial, you owe us nothing and you can simply forward back to your old number again. Most Answering Services have the same technology nowadays. The thing that sets an answering service apart is in the quality of people answering the phone. We have competent people who will greet new customers calling you for the first time in a warm and helpful manner. If you’ve ever called and got some grumpy person who says something like “ABC Air Conditioning’s Answering Service, this is Anita. Do you want to leave a message or what?”, then you know how important a good service is. With us, it will be a nice cheerful person saying something like “Good Afternoon, ABC Air Conditioning. This is Ashley, how may I help you?” That sort of thing makes a big difference – after all with new clients, you only get one shot at a first impression. Your answering service often makes that first impression. 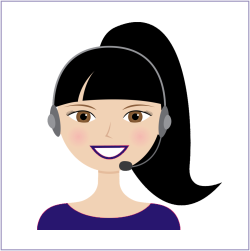 We think you’ll be very pleasantly surprised by the quality of people answering your phone if you use us. We over-staff for our size, so callers don’t wait on hold very often or for long, but also so that the operators aren’t worked to death. We think the way to have cheerful, upbeat people answering the phone is to find great people, pay them well, treat them with respect, and not overwork them. Come try us out and see for yourself! We really are better.